Last year, New York magazine released an article detailing "The Unlikely Tale of an $89 Amazon Coat That's Taken Over the Upper East Side." And frankly, how can one resist reading a piece about a widely beloved and affordable coat that's available for purchase on Amazon? We definitely couldn't, and we've noticed that it's also been everywhere in 2019 as well. The tale delves deep into the story of this mysterious $89 Amazon coat that has found its way into every closet (well, basically) of the Upper East Side, including that of a creative director, a Chinatown-based stylist, a preschool teacher, and the fashion director at Neiman Marcus, to name a few. Per the publication, it's unsure who was actually the first to wear the stylish outerwear staple—several women profiled explain when and where they first laid eyes on it—but regardless of who got the ball rolling, one thing about this story is certain: Word of mouth lit this Upper East Side Amazon coat situation aflame. As New York magazine writes, the olive green coat, made by Orolay, is fairly simple, but it's appeal "lies at the crux of its fashionable-yet-accessible, lightly directional look … and its startling price." 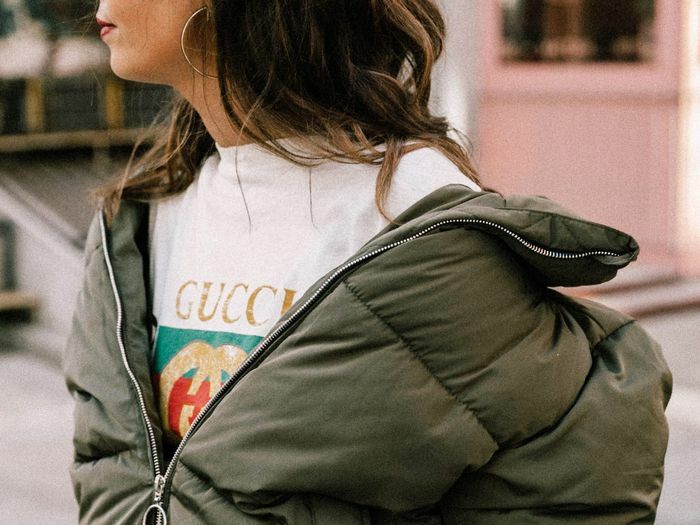 Several of the women in the article note that the coat's look (and its detailing) reminds them of pieces from luxury retailers Balenciaga, Sacai, or Moncler, sans the hefty price tag, of course. As the coat continues to spread around the city of New York (and beyond), it should come as no surprise that it's nearly sold out on Amazon. Currently, one size is still available, but we have a feeling it will be completely out of stock by the end of the day. Thankfully, New York magazine found a coat that's very similar to it. Below, shop the original Orolay piece that's taking over the Upper East Side (as well as the similar version), and see how much it's blowing up on Instagram. It's time to own the coat everyone is talking about. Fuckkkkkkkk I wrote about accidentally buying the amazon coat. Linked in my story. I’m sorry! Which Amazon coat color is your favorite? @shebysmd’s wearing it in green. See all five colors at the link in our bio. This version is just as affordable. We can always count on Levi's for affordable staples, and this jacket is no exception. This is guaranteed to keep you cozy. This jacket is calling your name. Hurry: This 50% off sale is too good to pass up. Canada Goose is second to none when it comes to keeping you warm. Sam Edelman always knows how to interpret trends at reasonable prices. 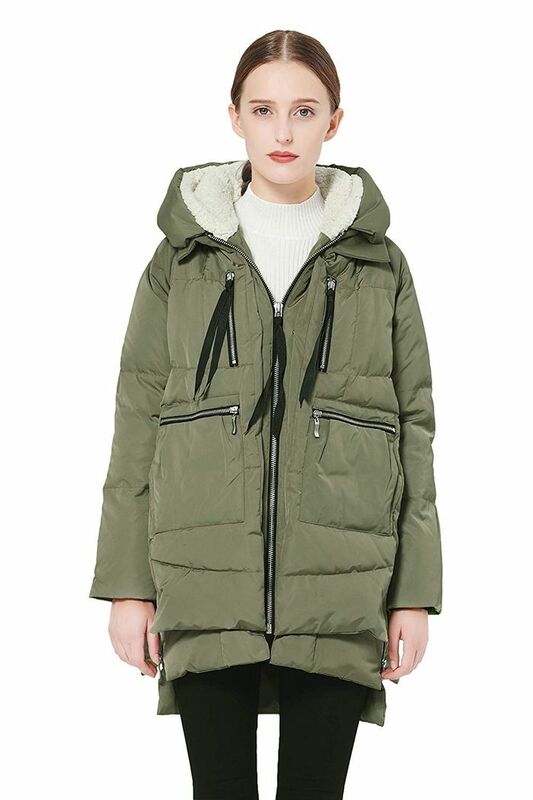 Yep, J.Crew makes a mean puffer coat. Nike sneakers, meet your new companion: a Nike puffer. This army jacket will always be in style. You'll get so much use out of this $150 version from Nordstrom. If you're willing to take a designer plunge, look no further than Burberry. We love how this is styled with wide-leg leather pants. Next, seven ways celebrities are wearing Ugg boots in 2019.